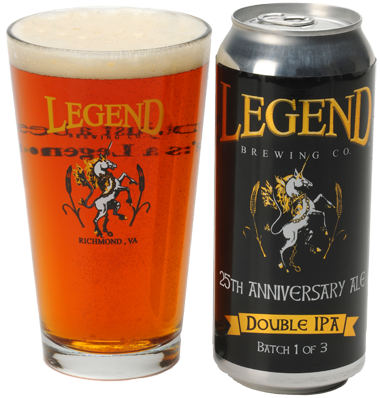 This is the first is a series of three celebratory Double IPAs commemorating Legend Brewing Company's 25th anniversary. Each edition will feature different hop combinations. We chose a duo of old school hops to get things started. 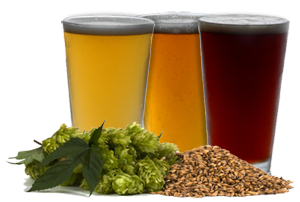 Centennial and Amarillo are both known as dual purpose hops, having both clean bittering and rich aromatic properties. 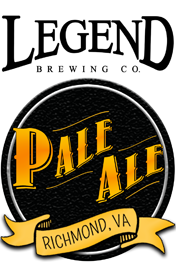 Expect a deep and layered hop profile backed up by a sturdy supporting malt base. Strong notes of citrus (orange, tangerine) and stone fruit (peach, apricot) are backed up by an herbal, floral bouquet. A refined resinous quality blends with warming alcohol on the back end and the finish is dry and balanced. 8.3% acl. by vol.